If you have a parent or loved one who has contracted sepsis, then you know how frightening that diagnosis can be. Sepsis isn’t as commonly understood as other medical conditions like heart attacks and strokes, but it carries just as much risk, especially for the elderly. About 750,000 patients are treated for sepsis in hospitals every year, and 65% of those are age 65 and older. As a caregiver, it’s important for you to understand what sepsis is, how it may affect your loved one, and what symptoms you should watch for as well as what steps you can take to prevent it. Sepsis is the body’s response to an infection, and it affects the entire system with widespread inflammation. It is much more common among people who have a history of other diseases or chronic health conditions such as lung disease, kidney disease, stroke, or hypertension. Many people contract sepsis after experiencing another illness like pneumonia or a urinary tract infection, but it can also be triggered by an infected skin sore, infected gums, or a bug bite. If you see these symptoms or your loved one has an infection and you suspect sepsis, see a medical provider right away. Sepsis is a medical emergency and it’s vital that your mom or dad receives immediate care. Practice good wound care. If you notice a cut or sore, clean it thoroughly with soap and water to prevent infection. Wash hands frequently. Prevent the spread of bacteria and therefore reduce the risk of infection by washing hands with soap and water or using hand sanitizer. Get preventive vaccinations. Any type of infection can precede sepsis, even respiratory infections like pneumonia or the flu. Get seasonal vaccinations to reduce the risk of contracting an infection that could lead to sepsis. If your loved one does get an infection, treat it seriously. Take all prescribed antibiotics and see a doctor if you notice any symptoms that could indicate sepsis. If your mom or dad has contracted sepsis, they will need medical attention. Treatment may include IV fluids, antibiotics, and medications to control blood pressure. Doctors will also want to monitor breathing, heart rate, blood pressure, and other vital signs. Caring for someone with sepsis can be a stressful job, and it’s important that you develop a strong support network to prevent burnout. 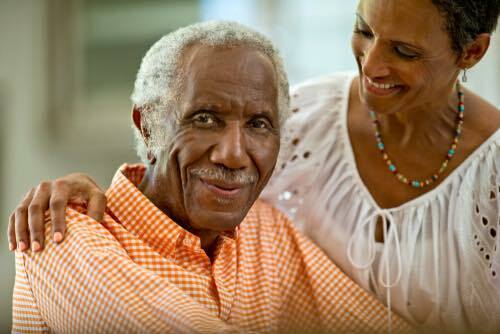 A home caregiver can provide the relief you need by coming alongside you to help you care for your loved one. Whether you need respite care for a week or two, part-time care for a few hours each day, or full-time live in care, a home care professional can help you give your loved the best possible quality of life.